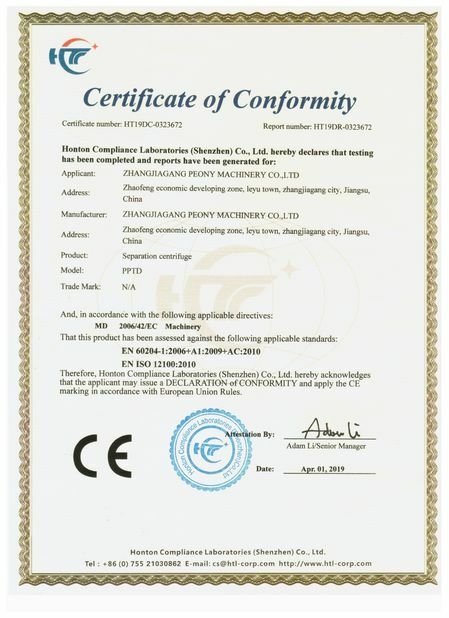 Zhangjiagang Peony Machinery Co., Ltd., founded as a special producing enterprise of separating equipment in 2008, is the well-known manufacturer and service provider of separation and filtration in China. Peony dedicated in solving the solid-liquid, liquid-liquid separation problems for clients all over the world and providing separating and filtering mechanical products with convenient operation, high efficiency, reliable quality and excellent service worldwidely. 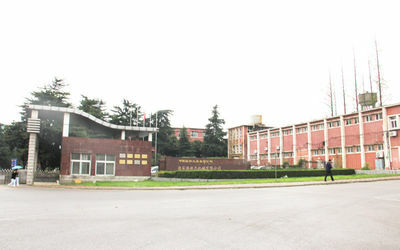 Being a group corporation, Peony has 3 producing bases in China - Zhangjiagang, Nanjing and Hangzhou city. As the professional supplier of separating and filtering equipment, we produce basket centrifuges, decanters and disc separators starch product line,and sell the auxiliary equipment such as clarify equipment, filters, pumps, etc. These 25 series about more than 150 products are self development of Peony and have attained national patent. Those products and relevant auxiliary equipment are widely used in chemical, petroleum, pharmacy, mining, food, beverage industry and environmental protection. We own various kinds of inspection and testing facilities with value over USD10million ,now,16 testing tables,6920 gear testing centre,X ray detecting machine, high speed dynamic balancing machine, ultrasonic flaw detection machines,etc,we are equipped with complete testing,inspection ,analysis control system,advanced testing machines and simulative working condition test table and automatic control testing system,which guarantees our new product research,processing validation and quality. We are strongly equipped the robuste and precise processing machines from Germany,Italia,England and our domestic famous brand,here,I'd like to list several of them for your reference. the year of 2013,and we expect to carry out 500million RMB in 2015. Welcome all who are engaged in the separation and filtration to work with us,and we are also looking for the qualified world wide agents to provide better service and deep marketing. Our products have spread all over the world and are applied over than 35 countries and regions, for example, America, Germany, Italy, Sweden, Canada, Singapore, Australia, Brazil, Russia, India, Middle East and Southeast Asia etc. To provide flexible and qualified technical service to resolve any maintenance issue in the shortest time possible, now we have established agents in many countries such as Brazil, Colombia, Latin America, Bangladesh, Southeast Asia, etc. Peony is devotating into the charity activity,we are subsidizing some poor students to finish the school and are trying to set up some primary to feedback the society ,hereby,we appeal to all people to enter into the charity activity,technical innovation changes the world,love embraces the world! 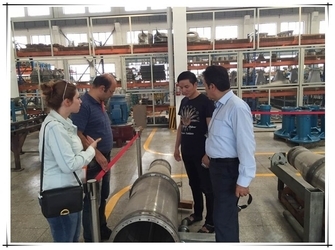 Peony machinery is the subsidiary of CSSC group which established in 1958,and it is a state-owned enterprises with 65000m2 working area,After economic development ,peony is Founded in 2008.,as the sales company for CSSC group. 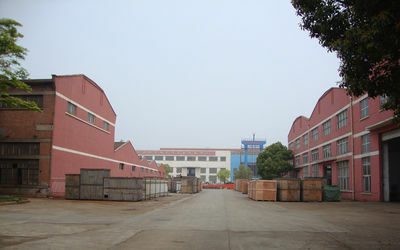 Company is always insisting on technology leading.Successive capital has been invested in equipment reconstruction,advance technology introduction,forming a comprehensive modern production system in foundry,metalworking,assemble,inspect and test.All these keep the technology content of products,technical process and test facility always in a good advantage in its industry. 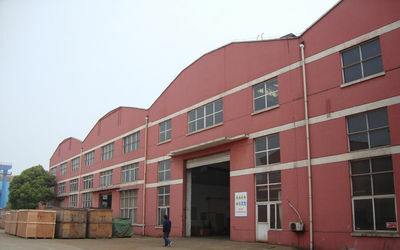 The company always takes market demand as the guide.All the products are manufactured according to the customer requirement and market trend.At present,the company has total 16 major series with more than 60 specifications products.All the products are strictly conform to the national technology standards and thus have enjoyed a good share of both domestic and overseas markets as well as good reputation. 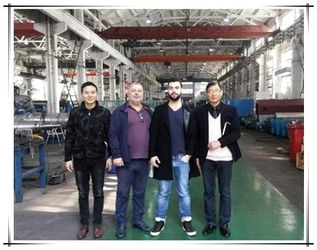 Over the years,the behavior standards and rules of employees are continuously improving,and the enterprise management is moving towards a scientific,standard and professional level.Now,our company has a contingent of well-trained employees who can meet the needs for modern enterprise management and production,laying a firm foundation for future development of our company. 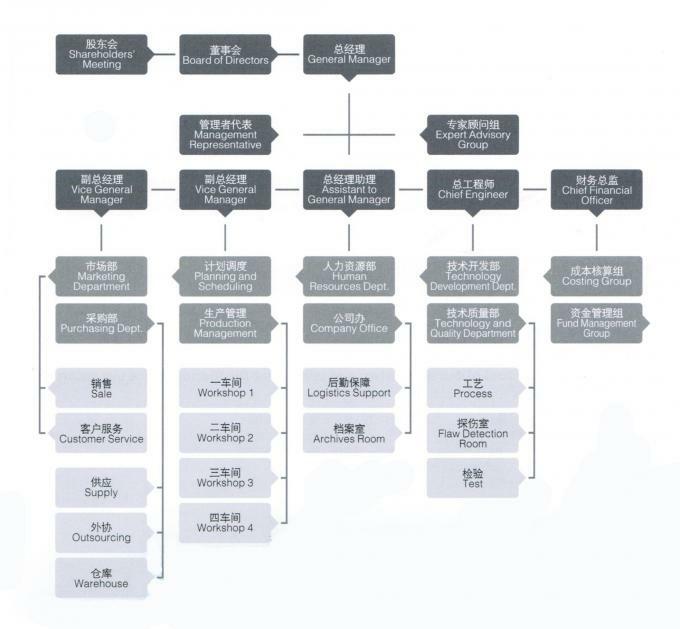 During its continuous development,Peony Company has established a perfect modern enterprise management system with optimized resources,reasonable coordination,precise labor division and unified cooperation of all organizations in the enterpise,forming an efficiently operated management team.The perfect system and highly efficient and strict operation system are the solid foundation for sound management decision and stable business development of the enterprise.The enterprise opens itself to all talents by promoting the competition mechanism of "absorbing the talented only,refusing the mediocrities"in order to keep it vigorous. By integrating management and optimized products,Penoy realizes timely and prompt distribution through the modern storage,packaging and logistics information chain to meet market demands. After many years of development,Peony has accumulated a large number of talents and abundant experience and attracted many domestic and foreign customers with professional tehchnology and exquisite quality. Peony continues to carry forward the spirit of industriousness,enterprise,innovation and good faith.Our quality products are sold well throughout the world,winning deep favor from our users in international markets. With over 20 years of exporting experience, we already have built a system of marketing, sales and after-sales service, which could provide good and excellent integrated engineering solution for industrial and environmental application. We are capable to carry out a whole project in order to give the solution toward achieving customer needs and satisfactions. We already have agents in different countries to ensure timely and highest service and maintenance. Meanwhile, we are looking for the opportunities to cooperate with more qualified agents in more countries and regions. Now our strength is our immense technical knowledge and our experience gained during these years. Thus, we are able to offer our customers highest quality and excellent service. We are planning to set up some maintaince center or cooperate with the local after sales centre to provide our close service. 7*24 hours techincal support free of charge. Abundant spare parts in stock,2working days are available to post to you if required. OEM and ODM are both provided. We have advanced import processing machines to guarantee the precision of parts.We have experienced engineer teams to select the suitable model centrifuge.We have skilled workers operation certificate protection the workmanship.In addition,we have innovative design concepts. 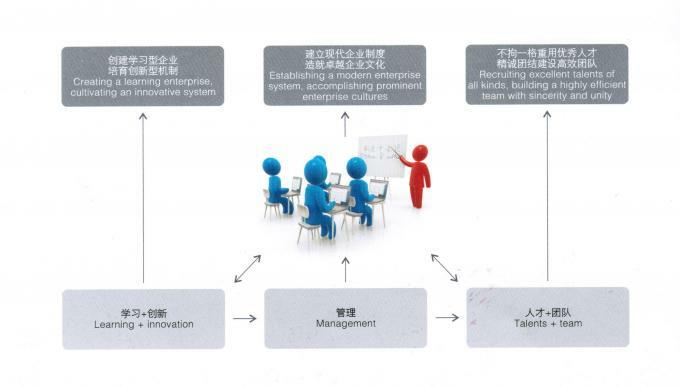 During its continuous sevelopment,Peony company has established a perfect modern enterprise management system with optimized resources,reasonable coordination,precise labordivision and unified cooperation of all organizations in the enterprise,forming an efficiently operated management team.The perfect system and highly efficient and strict operation system are the solid foundation for sound management decision and stable business development of the enterprise.The enterprise opens itself to all talents by promoting the competition mechanism of "absorbing the talented only,refusing the mediocrities"in order to keep it vigorous. Managing board,Production dept,Purchasing dept.Marketing dept,quality control dept,R&D dept,financial dept,after sales dept etc.